D-Link offers comprehensive range of adapter panel which enhance installation flexibility and convenience. The panel is pre-loaded with adapters and can snap in for installation and can be removed easily for future changes. Blank fiber adapter panels reserve fiber adapter panel space for future use. 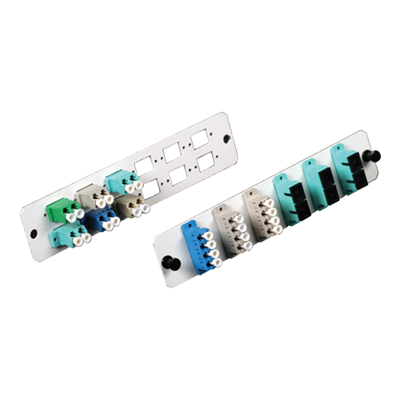 All fiber adapter panels snap quickly into the front of fiber optic patch panels and enclosures for easy network deployment or moves, adds and changes.